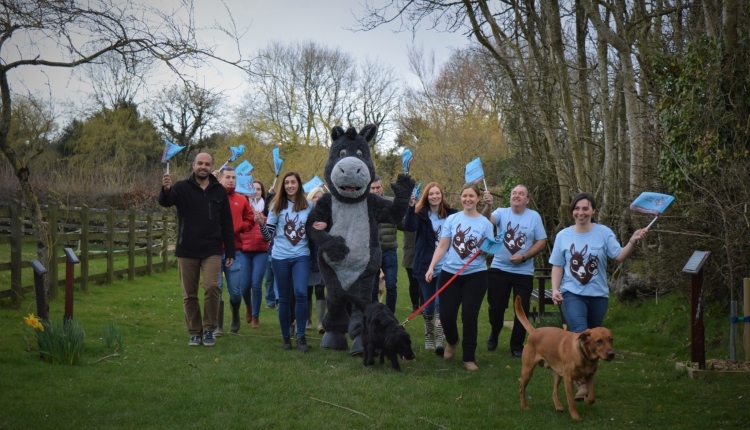 2019 marks The Donkey Sanctuary’s 50th Anniversary and the inaugural year of the Dawdle for Donkeys fundraising walk. Orienteer around the wider sanctuary on a family-friendly 5k or adventurous 10k course with your family, friends and work colleagues and help raise funds for donkeys in need - like the 29 Blackpool beach donkeys rescued from months of repeated abuse by their owners. So far, the cost of their care has exceeded £100,000; help provide a safe and secure future for more donkeys like the rescued Blackpool beach donkeys, by signing up today. As well as enjoying the stunning walks around the sanctuary, you’ll meet some of the friendly resident donkeys, showing how the money you raise directly helps improve their lives and the lives of other donkeys in the UK and further afield. There will also be pit stops for refreshments, and entertainment and activities to keep you motivated throughout the walk! Registration Adult 5k / 10k - £10 plus booking fee Under 16s (must be accompanied by an adult) - FREE Corporate team (unlimited team members) - £50 plus booking fee Sponsorship Please pledge to raise sponsorship of £50 per adult or £500 per corporate team. Every penny raised is amazing and will directly help donkeys in need, here in the UK and around the world. WIN! All adults who meet the suggested sponsorship target will be entered into a prize draw for the chance to win a 2-hour VIP donkey experience for up to 4 people. Similarly, corporate teams meeting the target will be entered into a prize draw for the chance to win a 4-hour group donkey experience for up to 8 people. Further information 01395 573156 | events@thedonkeysanctuary.org.uk All proceeds go directly to the worldwide work of The Donkey Sanctuary.